We’d love your help. 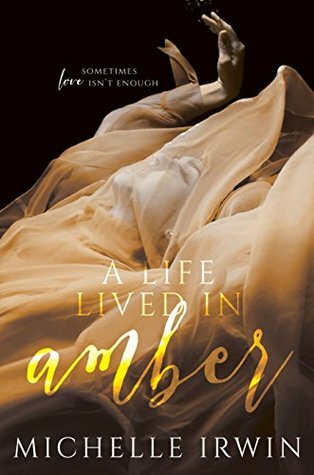 Let us know what’s wrong with this preview of A Life Lived in Amber by Michelle Irwin. Looking back, Hannah remembers the beginning of love like a cheesy, midday romance. Flashes of a smiling couple; shown with a soft focus and gauze-covered lighting, flattering angles, and sappy dialogue. The reality wasn't quite so bright. Time dilutes harsh words and frayed tempers. It fades the colors that once burned brightly; the yellow su Sometimes love isn't enough. Time dilutes harsh words and frayed tempers. It fades the colors that once burned brightly; the yellow sunshine of happy days, the harsh reds of anger and passion, and the gree of new-found jealousy. Now, the colors have washed out and bled into one another, mixing until all that's left is a residue staining her life a unique shade of amber. To ask other readers questions about A Life Lived in Amber, please sign up. This story blew me a way in the most extraordinary way. I am a huge fan of Michelle Irwin’s books and I love how she writes. A Life Lived in Amber is no exception, she has written an intriguin 4 Intriguing, Mind Challenging Stars!!! A slightly different book from the others Michelle Irwin as written. However, with her writing style, the book flowed and you could feel the range of emotions that the characters showed. Must confess I have enjoyed some of Michelle's other books more than this one but still a great job. Looking back, Hannah remembers the beginning of love like a cheesy, midday romance. Flashes of a smiling couple; shown with a soft focus and gauze-covered lighting, flattering angles, a A slightly different book from the others Michelle Irwin as written. However, with her writing style, the book flowed and you could feel the range of emotions that the characters showed. Must confess I have enjoyed some of Michelle's other books more than this one but still a great job. This is such a rollercoaster of emotions. A sullen journey filled with joy, happiness, heartache, and pain. A story that shows how a simple decision or indecision can effect so many lives. I got so wrapped up that I felt like I was living the story. There were times I could not wait to turn the page and others I dreaded to in fear that what I thought would happen actually would be written. I must say though that I truly enjoyed every moment of A Life Lived in Amber!